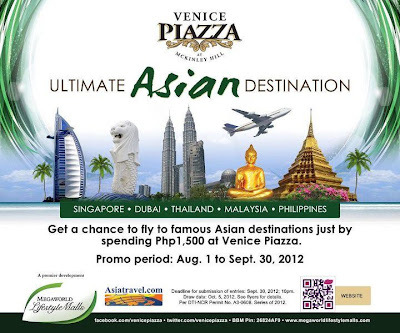 Head off to the Venice Piazza at McKinley Hill and don't miss the chance to join this exciting promo. 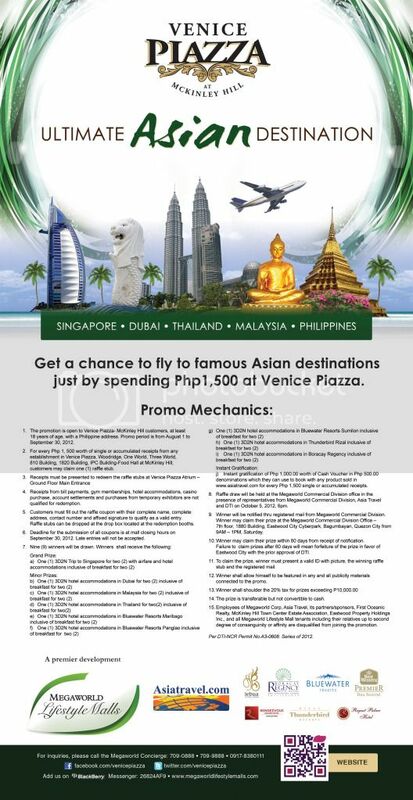 Luxurious and adventure-filled vacations await nine lucky winners at the raffle draw on October 5, 2012. 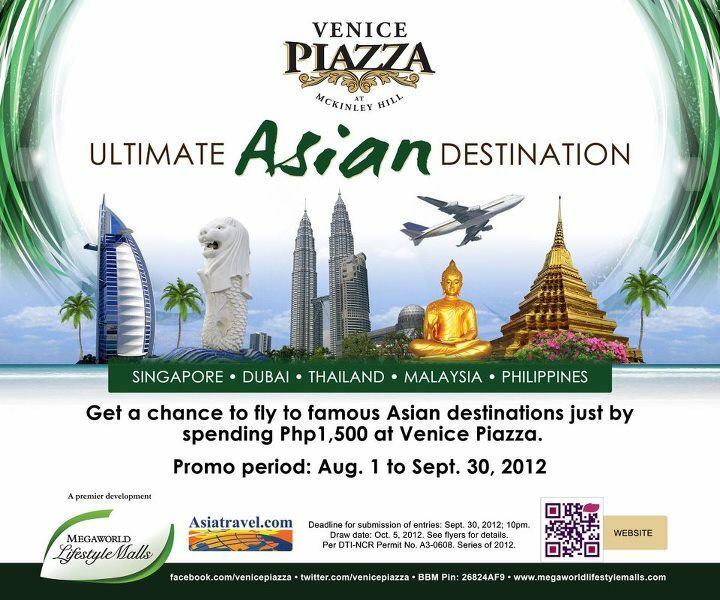 For more information, please call the Megaworld Lifestyle Malls Concierge at 709888 or 7090888, or log on to www.megalifestylemalls.com or facebook.com/venicepiazza or follow Venice Piazza at twitter.com/venicepiazza. Download the Megaworld Lifestyle Malls app on your iPhone or iPad now available at the Apple App store.